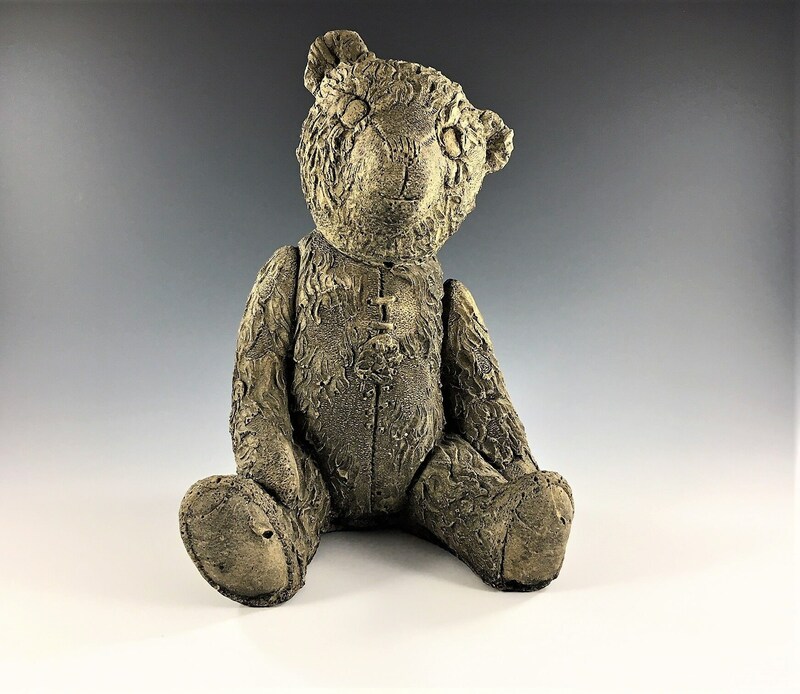 Featured is a heavy Teddy Bear statue or statuary. This piece is about 8 inches tall and is modeled after a stuffed animal. It seems to be made from some sort of faux stone. It has a rough, stone-like feel. 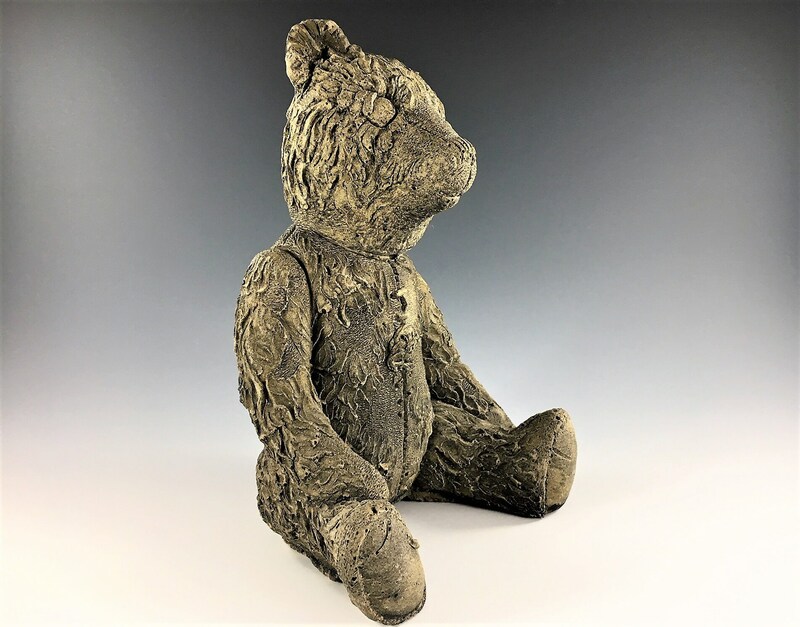 This seated bear would be great in a small garden bed, or equally suitable for a office shelf as a bookend, or in a nursery as a wonderful accent piece. Very realistic looking. 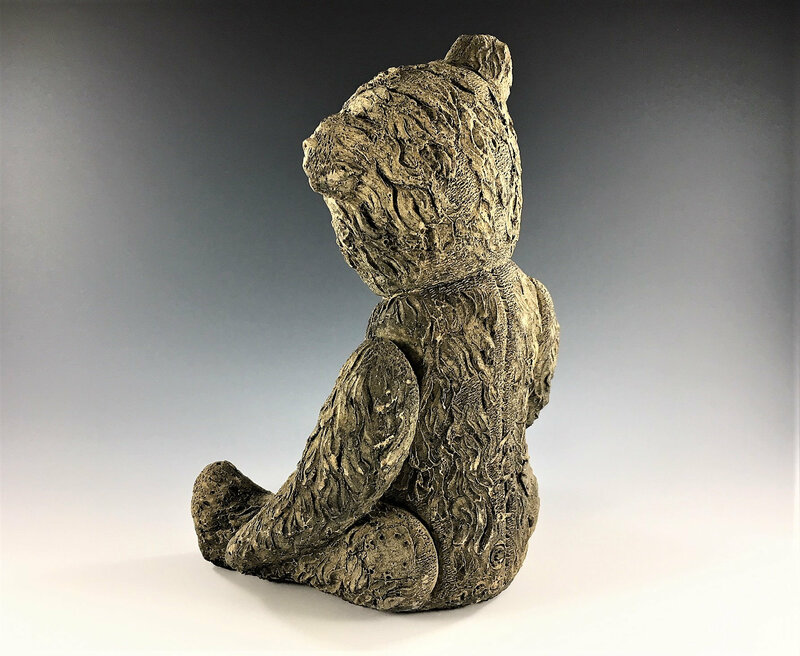 There may be a chip to the bear's right ear, but it's hard to determine due to the rough sculpting of this piece. Look closely at the photos and you see that it's hard to judge.